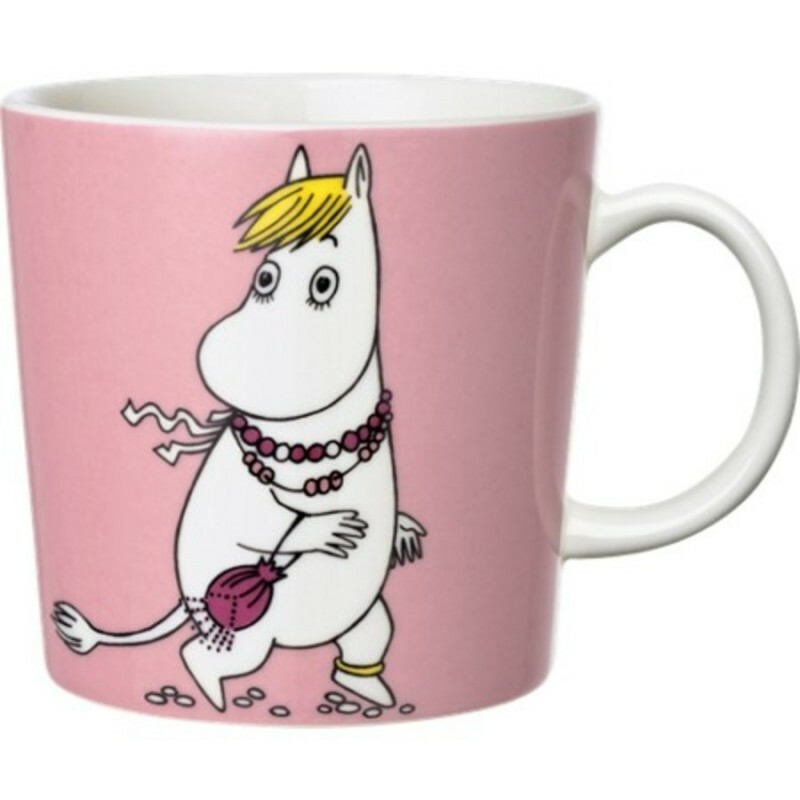 This new pink Moomin mug by Arabia from 2013 features Snorkmaiden dressing up and making herself pretty. It's beautifully illustrated by Arabia artist Tove Slotte. Collect all of the Moomin mugs, and complete your collection with this beautiful piece. Also see the other parts of the ceramic Snorkmaiden series.